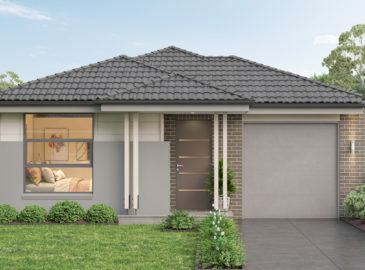 Rohan’s Run is an exciting new development located in the heart of Austral, a rapidly growing South Western Sydney suburb. The name pays homage to longtime resident John Rohan who settled in Austral in 1936. Tending a farm with his family well into the 1970s, Mr. Rohan was instrumental in the area’s development. Honoured to take up the mantle of supporting the continued development of this beautiful area, we could think of no better name to give this limited release of level land lots. Today, Austral is a suburb on the rise, with local schools, shopping and other amenities. With larger suburbs and South Western Sydney’s major city centre of Liverpool just minutes away, world-class options for everything residents could desire is easily accessible as well. 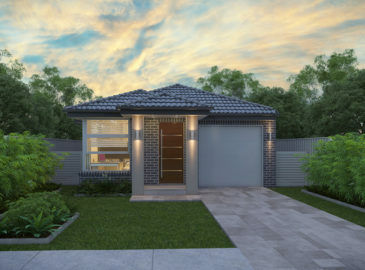 Nestled directly in an area of focus for the Western Sydney development push, Rohan’s Run house and land packages in Austral are among the best real estate investments available. 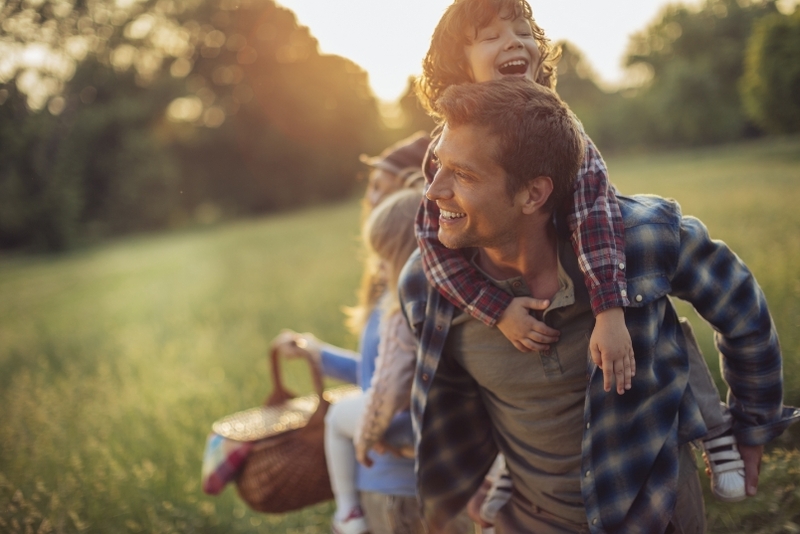 Austral is home to a host of existing amenity and over the next five to ten years will see significant growth due to the array of planned development in the area. 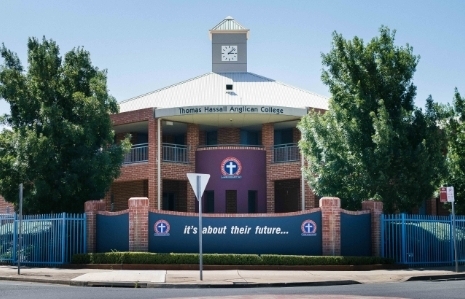 Top-class primary and secondary schools including Austral Public, Leppington Public School, Al Faisal College, Thomas Hassall Anglican College and William Carey Christian School are all minutes away, as are recognised tertiary institutions like South Western Sydney University and TAFE. New South Wales’ largest health centre, Liverpool hospital, is within less than half an hour’s drive – and for those considering moving with the entire family, a residential aged care home is also a short drive away. An expansive, full-service IGA Supermarket serves the immediate area. 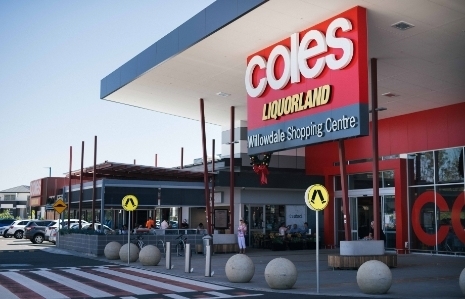 The Carnes Hill Marketplace is only 4.5kms away, offers clothing, jewellery and other retail options along with a variety of eateries and Woolworths, Big W and a Dan Murphy’s. Five minutes drive more, and you’ll be at the renowned Westfield Liverpool shopping centre. The over 80,000m2 complex has an incredible 340 stores and services, ensuring that you’ll be able to find everything you could possibly need. 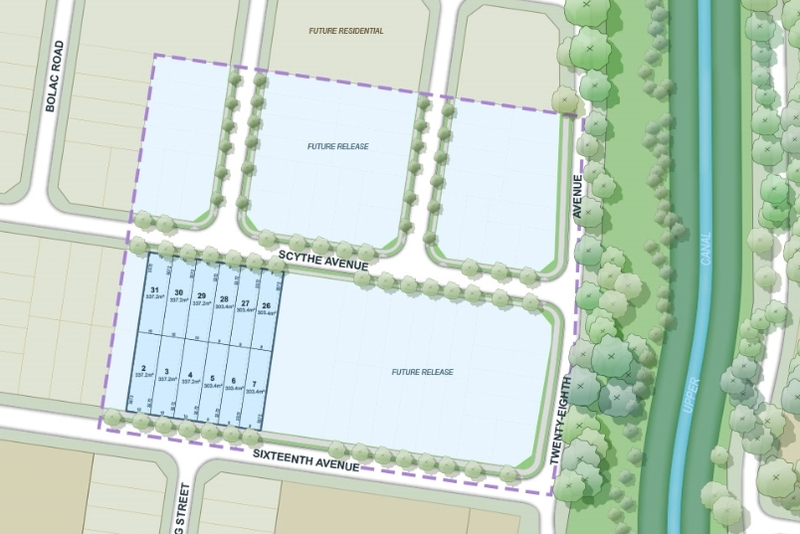 This kind of convenience will soon be even closer, with the future construction of the Leppington Town Centre. Foodies are in luck as well, as everything from casual eateries to fine dining can be found nearby. Some of the finest Italian fare in New South Wales exists in the areas surrounding Rohan’s Run, including the extremely popular Campisi Fine Food and Deli. Recreation and exercise opportunities also abound. 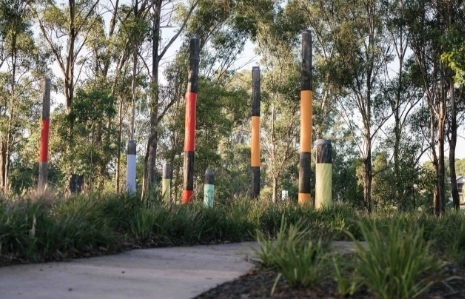 Perhaps one of the region’s finest features is the stunning Western Sydney Parklands. With 5280 hectares of outdoor space spanning 27km, it is the largest parkland in Sydney – and is just 11.5km away from your doorstep! Future parks are planned for Austral itself for those daily nature walks as well. The Michael Wenden Aquatic & Recreation Centre, meanwhile, offers indoor and outdoor aquatic facilities, a health club offering a range of fitness classes and for the little ones both a swim school and child minding services. Upcoming attractions are even more exciting. For example, the proposed $5bn Sydney Science Park 16km to the west in Luddenham will offer work, learning and play opportunities unlike anything in the world to owners of Austral home and land packages. Austral is located a mere 42km south-west of the Sydney CBD. Just 10km north-east, however, is Liverpool – South Western Sydney’s major city centre. As a result, access to the finest commercial areas, schooling, recreation and fully served transport hubs is just minutes away. 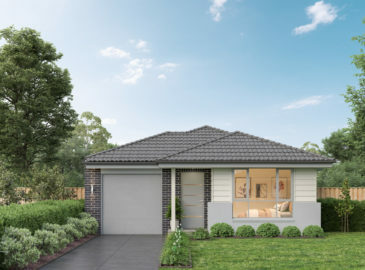 Established neighbouring suburbs like West Hoxton and Leppington increase the options for residents of Austral house and land packages like Rohan’s Run. With the dedicated focus by both the government and industry on developing the area around Rohan’s Run, transport has been a clear priority. With quick access to both the M5 and the Westlink M7, getting to the Sydney CBD and numerous other locations couldn’t be easier. 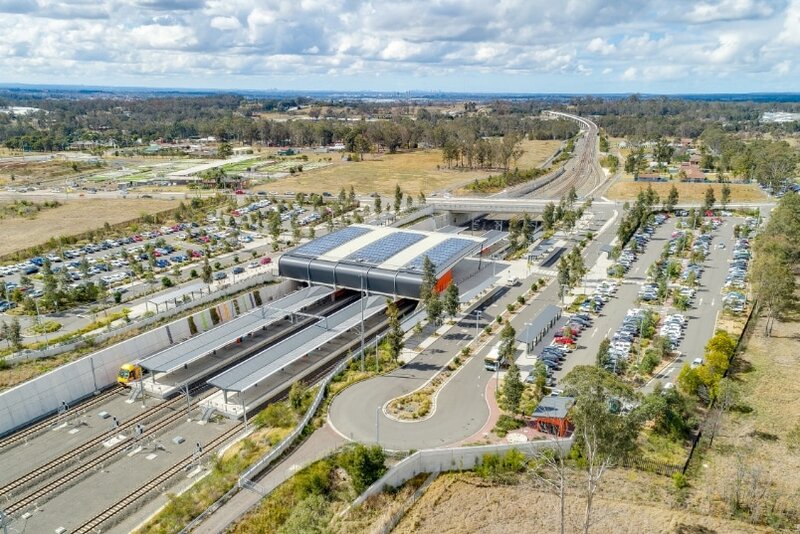 While Liverpool has long been fully served by public transport, the recently constructed Leppington Station means a major public transport hub is just 4.5km away. Increased peak hour services and untimed parking spaces at the station show the region's dedication to ensuring its hard-working residents can easily get to and from their homes. With Sydney’s second airport (The ‘Western Sydney’ or ‘Badgerys Creek’ Airport) slated for completion by 2026, even flying nationally or abroad will be a matter of a few minutes drive. 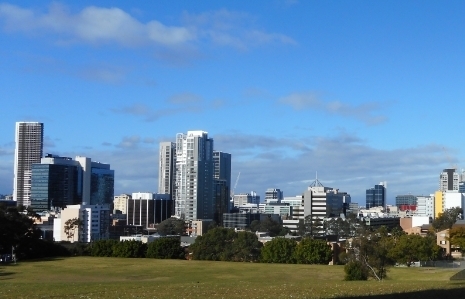 Rohan’s Run is situated in the middle of one of Sydney’s most quickly developing and promising areas. 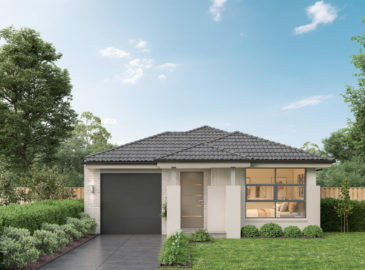 Already well-appointed with amenities, transport options and everyday attractions, Austral is poised to become a desirable suburb for families, real estate investors and businesses alike. In addition to becoming an increasingly exciting place to settle and its close proximity to city centres like Liverpool and the Sydney CBD, large construction undertakings including major shopping centres and Sydney’s second major airport mean thousands of jobs will become available. At this point, however, incredibly affordable house and land packages at Rohan’s Run can be acquired – albeit in limited numbers. Regardless of your taste in house type or your budget, there is possibly an option for perfect for you To find out more about the beautiful new development of Rohan’s Run, contact us today! 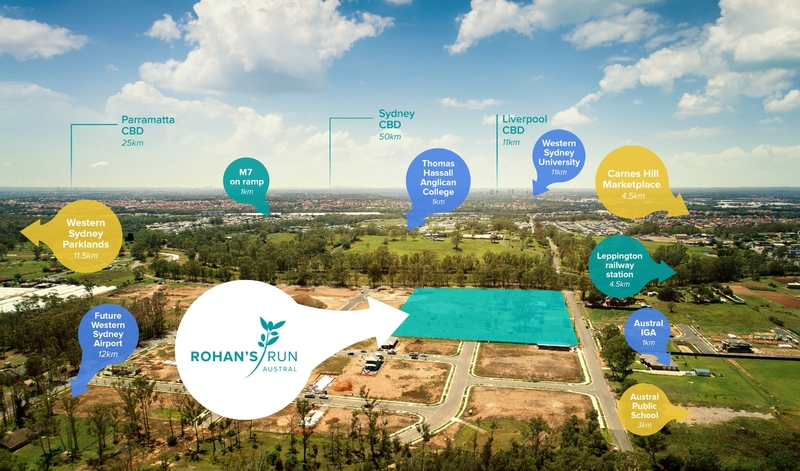 The developer of Rohan’s Run is Bluestone Developments (NSW), which is part of RILOW Property Group that has been building success throughout the Sydney region over the past ten years. 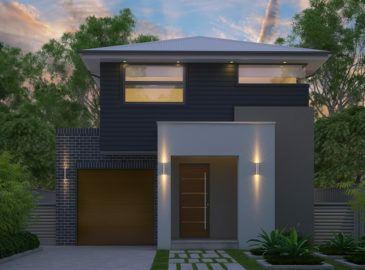 Bluestone Developments (NSW) specialise in creating innovative opportunities for future housing requirements, securing stand-alone residential lots or subdivisions, and then preparing these for targeted residential construction and display homes. 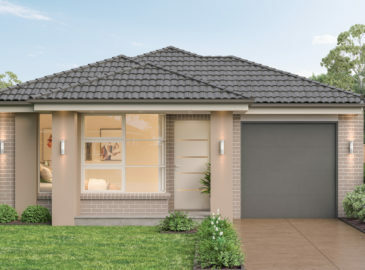 For information on Bluestone Developments (NSW), visit bluestonedevelopmentsnsw.com.au. It’s time to start planning for your new home. How did you hear about Rohan's Run? White Square Properties Pty Ltd may from time to time, amend our information without notice. Information correct as at 2/2/19. Please contact us for up to date plans and release information. Any plans, dimensions and areas are for indicative purposes only and be varied subject to detailed design, requirements of development, construction approvals and the contract we may enter into with you. Distances listed are approximate only. Photographs and visual impressions are provided for illustrative purposes only.